Introduced by Huimin after posting a Q&A in instastory, Park is widely famous for its Mac n Cheese (even my sis knows about it!). But~ I didn't try the Mac 'n' Cheese as it is mixed with Turkey ham, and they are not able to remove it for me, probably pre-mixed. 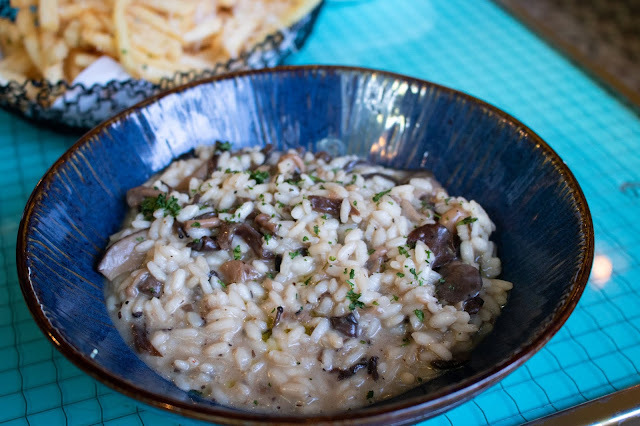 Without many vegetarian options, only the above Mushroom Risotto and Margarita Pizza. 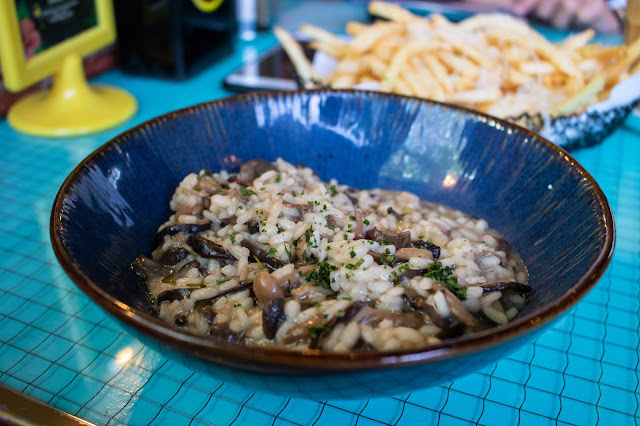 Craving for a proper meal, I chose the Mushroom Risotto. It tastes alright, but a little jelak at the end. 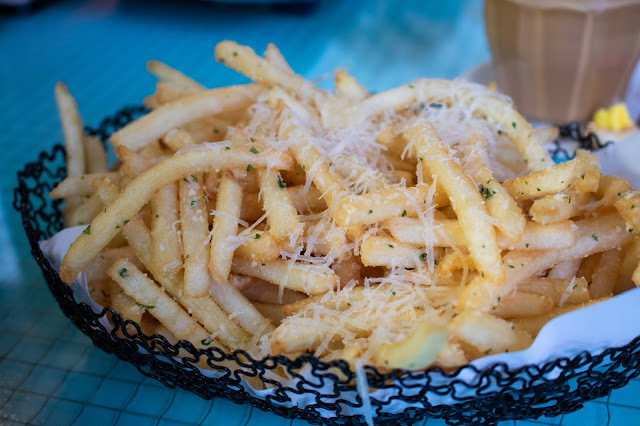 The truffle fries are not bad, quite generous with the truffle and cheese. And 3 of us couldn't finish it after eating the main. 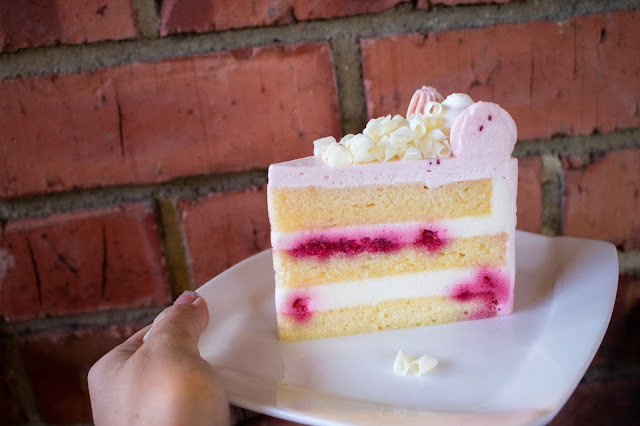 For all the sweet tooth lovers, this pastel pink cake will definitely satisfy you! But it's kinda overwhelming for the Darren and me. Overall, Park is quite a nice place for gathering and catching up. 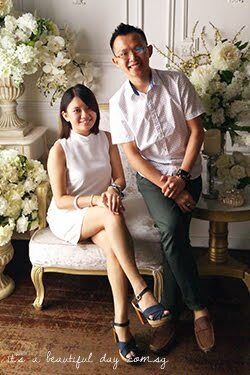 But do be there during off-peak hours as the seating area is limited. 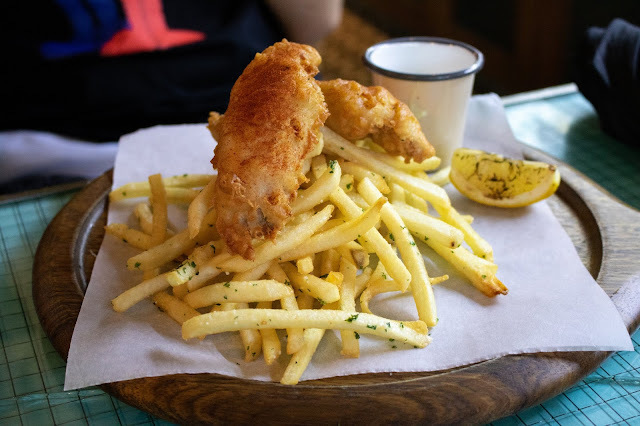 Category: Cafe - Holland Village, Cafe Hop! 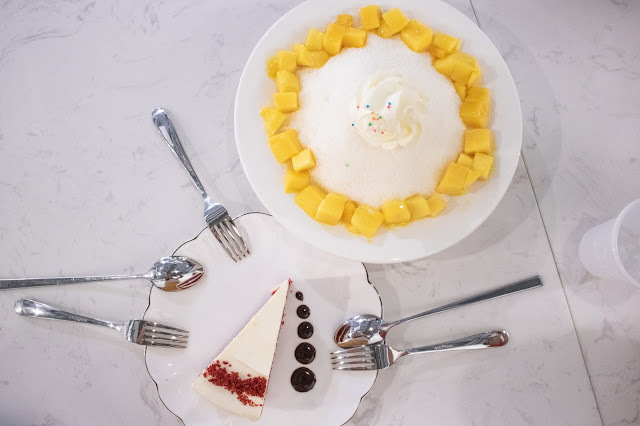 To all the Korea fans in Singapore~ This is one bingsu cafe that you should never miss. Why? 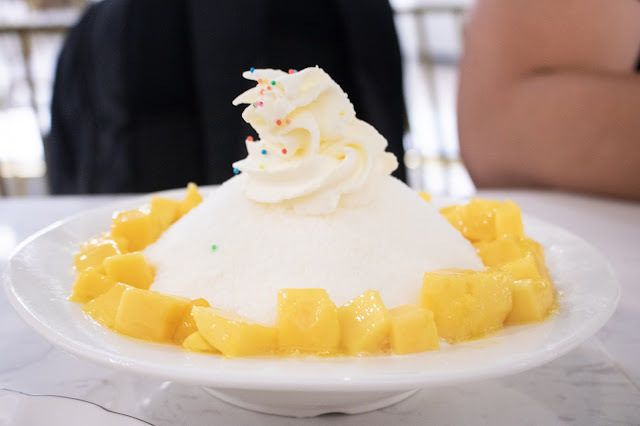 'Cause it has the finest shaved ice I've ever tried locally. 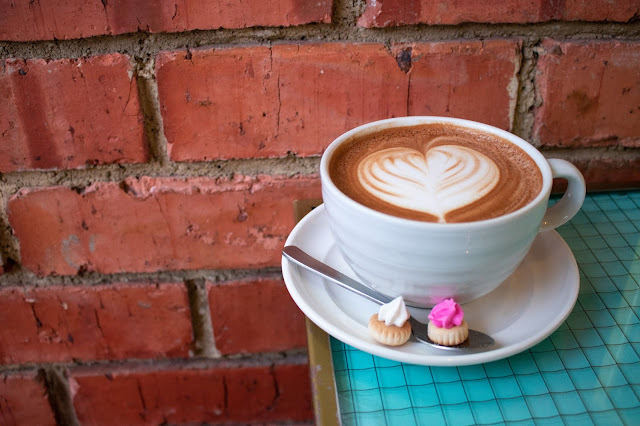 And bonus point, this cafe is opened by one of BTOB member. 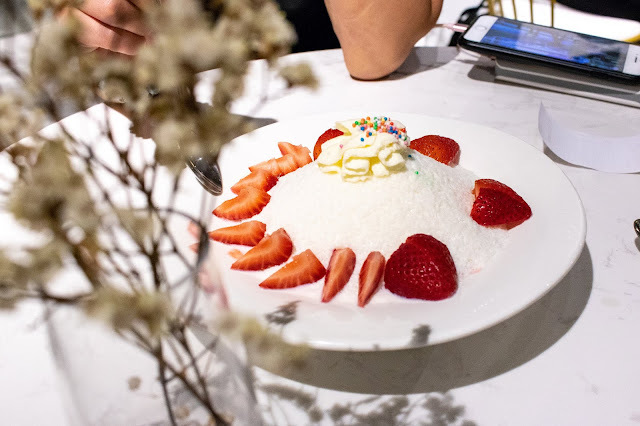 Situated between Dhoby Ghaut and Bras Basah MRT station, this bingsu cafe is at level one of Rendezvous Hotel. With full-length glass windows facing the road, daytime is the best time to visit with lots of natural lightings to take yummy photos. My verdict after a few visits: the Mango Bingsu and Strawberry Bingsu are still my favourites here. 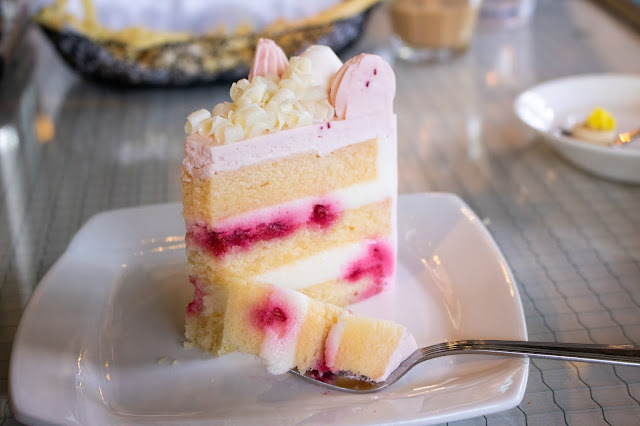 Topped with whipped cream, the ice shave is drizzled with condensing milk, adding a sweetness to it. And when combined with the fruits, it balances off with a little sourness. Perfect for a duo face Gemini like me. Hehe. 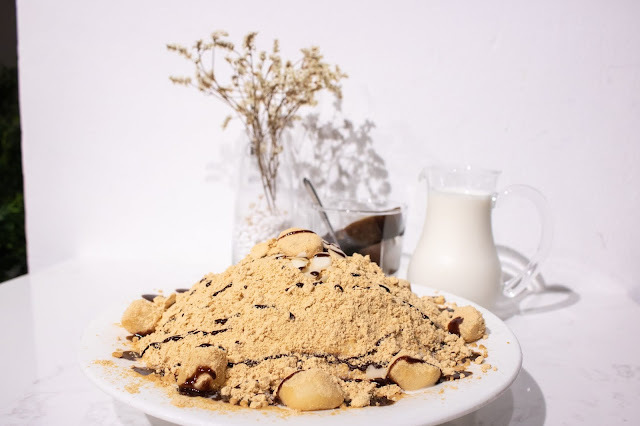 Even though I'm a fan of nuts, the peanut powder in the Injeolmi bingsu is too fine for me, always causing itchy throat when enjoying. Nonetheless, the standard is still pretty good. 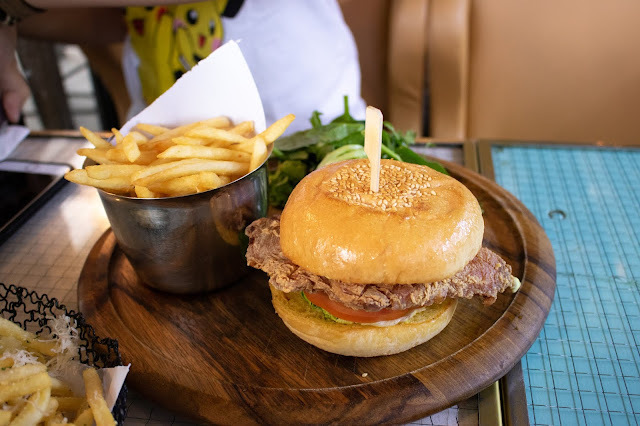 With small pieces of Korean rice cakes inside, it can be a little filling. 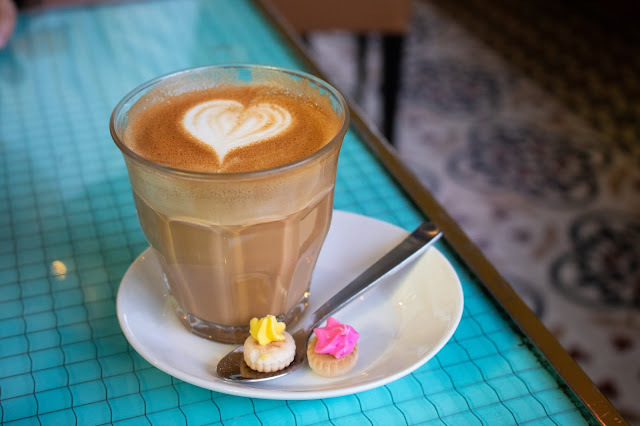 At the back is a cup of insta-worthy Ice Coffee with milk. The impression that I have for most of the Red Velvet Cakes is that they are very dry and chalky. 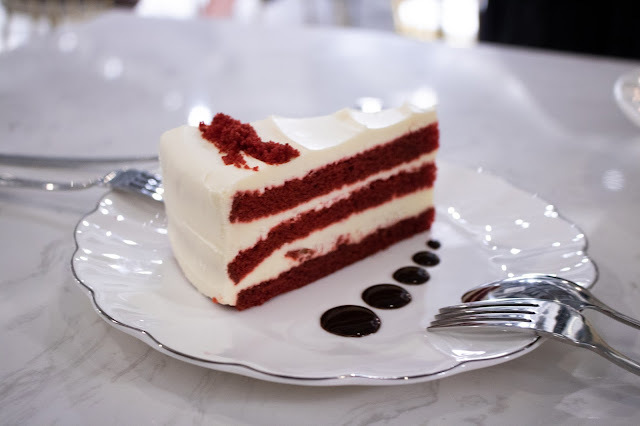 But the Red Velvet here is different. 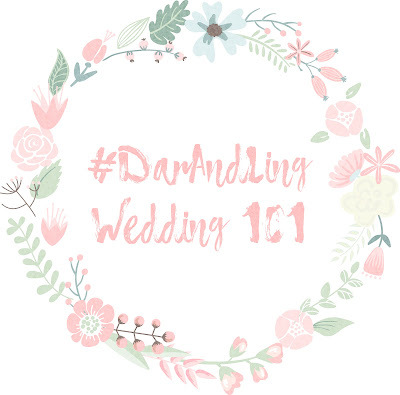 The cake is surprisingly moist, and cream goes well with it and adding a hint of sweetness. New in town! 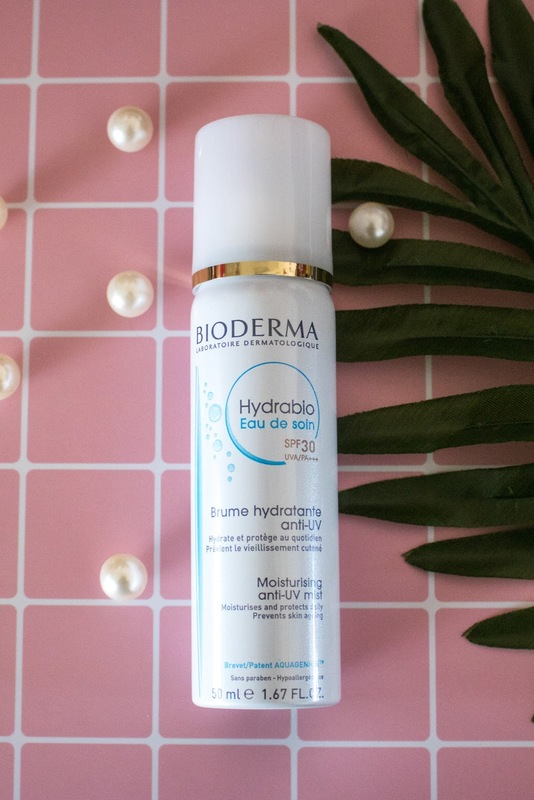 The BIODERMA Hydrabio 2-in-1 moisturising anti-UV mist (Eau de soin SPF 30), in short “Hydrabio” is a mist spray which helps to nourish and moisturise the skin. So why is it 2-in-1? It is the first product which combines sunscreen and anti-oxidant complex into a deeply hydrating water-based formula. And this is the only mist in the derma-cosmetics category that works to prevent skin aging on-the-go. Let’s look into the 3 key factors that make Hydrabio so great. I’m not a big fan of sticky skincare products like sunscreen, in result, I always look for other beauty products and cosmetics that integrates sunscreen in it. But the Hydrabio is the first beauty product which has non-sticky finish and is ultra-comfortable. It not only integrates sunscreen into water, it also creates an unique mist texture that requires no spreading and is invisible on the skin, even over makeup. There is also Cellular BioprotectionTM in it that assist in protecting the cellular DNA, which prevents our skin immune system from damaging and preserving our antioxidant reserve. Hydrabio is formulated using highly purified water and enriched with hydrating molecules. Powered by AquageniumTM patent, Hydrabio helps to repair skin barrier, retain moisture and restore skin’s water circulation. Adding on, this patent combines 2 ingredients apple seed extract and Vitamin PP which helps to stimulate water circulation. Hydrabio also contains glycerine and texture agents specifically chosen to increase hydration power while providing a refreshing sensation. Last but not least, Hydrabio Eau de soin SPF 30 PA +++ feels fresh and light on the skin. It comes in an air-free pump bottle equipped with a gas-free atmospheric spray to protect the environment (you can do your part and be environmental friendly too!). And not to worry about staining your clothes as the formulae is stain-free. Hydrabio can be used as the last step of morning skincare routine or use it to re-hydrate, set make-up and protect skin from harmful UV rays. It can be sprayed on both the face and neck. And if you are concern on the ingredients, Hydrabio is hypoallergenic, non-comedogenic, paraben-free, alcohol-free, and fragrance-free. Step 4: Leave to dry, no need to spread! Good news to start the week! For the month of March, BIODERMA 2-in-1 moisturising anti-UV mist (Eau de soin SPF 30) is exclusive to Watsons at $16.90 (save further 15%) before it rolls out islandwide on 1 April at $19.90. 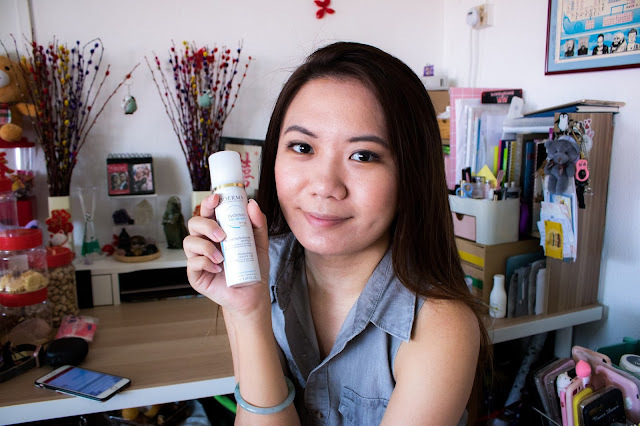 It can also be purchase at Watsons' eStore http://www.watsons.com.sg/hydrabio-2-in-1-moisturising-anti-uv-mist-(eau-de-soin-spf-30)/p/BP_78373?search=BP_78373. And If you have any further questions or looking for more information, visit http://www.bioderma.sg/our-products/hydrabio/eau-de-soin-spf-30.